As marketing evolves, so does the language marketers use. While many small to medium business owners are often confused about the various jargons and acronyms being used online, marketers can often be confused about the meaning of these terms too. A good example of this is two acronyms and terms that are increasingly being used interchangeably, without clearly understanding how they’re similar but also different: Search Engine Optimization (SEO) and Search Engine Marketing (SEM). 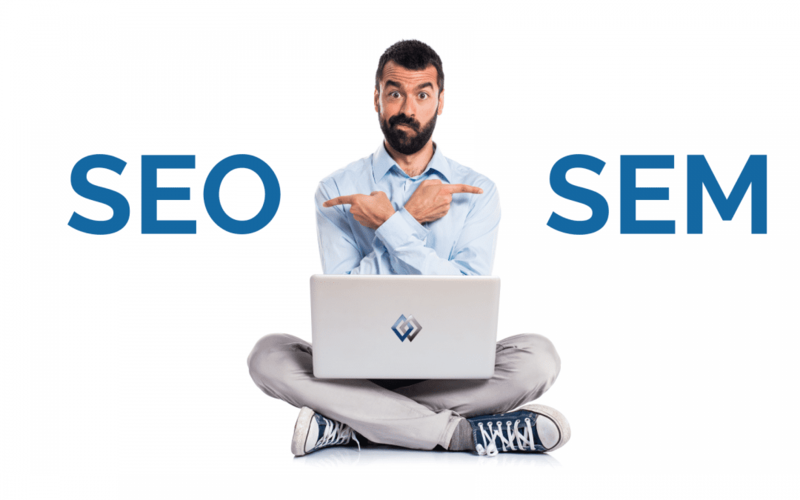 SEO has traditionally been thought of as a component under the umbrella term, SEM, as it was considered to encompass both paid and organic marketing tactics. However, now SEM is generally used only to refer exclusively to paid search result strategies and SEO is defined as driving traffic with free, natural, editorial or organic search results from search engines without paying for advertising. A professional marketing company that utilizes SEO should be able to explain how both marketing strategies work effectively together. Today, the majority of marketing companies that businesses rely on, believe it is more accurate to view SEO and SEM as separate strategies in your search marketing arsenal rather than viewing SEM as an umbrella term that encompasses SEO. While SEO strategies are always evolving in order to keep up with Google’s constantly changing algorithms, there are two main pillars of SEO activity — on-page and off-page (also known as “on-site” and “off-site”) activity. SEO is generally created by providing valuable, high-quality content like web page copy and blog articles. Over time, with consistent content your reader’s trust, you’ll see increased organic traffic, more inbound links to your site, and, most importantly, more conversions. Unlike SEO, SEM strategies typically focus on earning better search visibility by posting paid advertisements on search engines and social media sites. Commonly called pay-per-click (PPC) ads, there are other terms, such as cost-per-click (CPC) advertising, that refer to paid search ads and the strategy of paid search advertising or PPC management. PPC ads allow you to target a specific group of potential buyers by using relevant keywords, demographics, location and ad copy that match their search queries. Because these types of ads appear next to organic listings in search engine results pages (SERPs), they give your company the possibility of increasing the visibility of your landing pages, web pages, and blog articles. Generally, they go hand-in-hand. 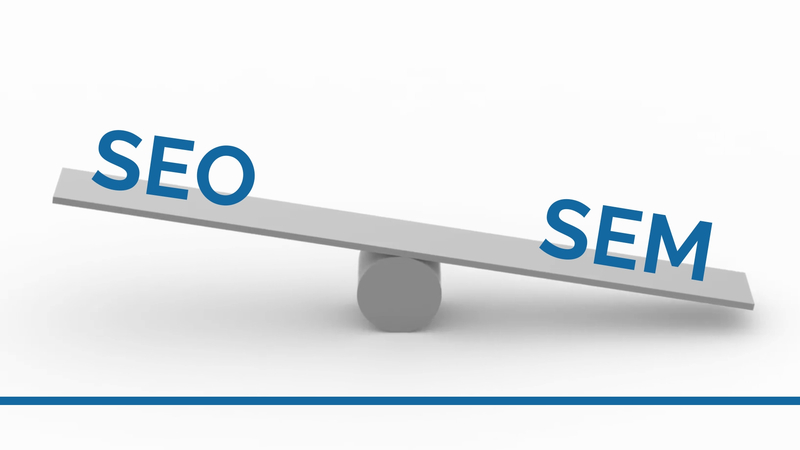 High-quality SEO is a prerequisite for high-quality, successful SEM. While you may need a good SEM campaign, if you are a new business with little online visibility, no quality landing pages, and no web pages or blog content fully optimized for your target audience, it will be difficult to maintain visibility in the SERPs, and your SEM efforts will fail. It’s also important to remember that organic SEO is less expensive than SEM in the long-term, so use it wisely to establish search credibility. A marketing firm that is skilled in PPC Management will be able to analyze your CPC and recommend strategies to maximize the results. If you need more information about the differences between SEO and SEM and want to know which is the best strategy for your business, Evans Alliance can help you evaluate what’s best for your specific needs. Give us a call today and find out why we’re the Digital Marketing Agency that New Jersey businesses trust.